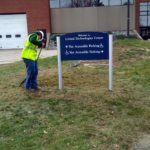 The CET students installed UTC’s new signs this week. The double posted signs are high quality and add a great look to the UTC campus. 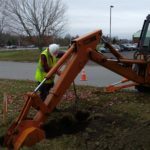 The students prepared the ground work by using the backhoe and ensuring a quality installation by calculating the proper depth and soil composition for proper installation. 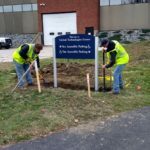 The installation is an excellent way for the students to exercise their engineering skills and also adding a great deal to the overall beauty of the UTC grounds.